A pensioner accused of sexually molesting a schoolgirl in a sweet shop has avoided an immediate jail term. Blackpool magistrates suspended Brian Glaister’s 18 week jail term for 12 months. The 80-year-old, of Kimberley Avenue, South Shore, had pleaded not guilty to two offences of sexually assaulting the 13-year-old girl but was found guilty of both offences after a trial held before Blackpool Magistrates’ Court. 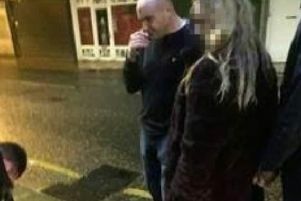 The pensioner is said to have touched the teenager indecently on October 23 last year at Blackpool. The bench ruled a custodial sentence was necessary because the case involved sexual touching in a sweet shop after school, while other children were present. He was given 12 months supervision, and a five year sexual harm prevention order which restricts his activities during school term times. The order bans him contacting the girl and from entering Highfield Road, when school children are going to and from school at the start and end of the day and during their lunch break. Glaister must notify police of his details for the next seven years. He was also ordered to pay £200 compensation to his young victim as well as an £80 surcharge and £700 court costs.